What happened really surprised me, and why not, I’m very proud of it. In this article I’ll write about how I get into the newspapers, organizing a wedding on Lake Como. A touch of popularity for me who i’m not Emily Blunt who is married to John Krasinsk in 2010 in the garden of Villa Oleandra or John Legend who with his girlfriend, model Chrissy Teigen, chose the romantic Villa Pizzo Cernobbio for their “I do”. Yesterday morning I was in my office at Lake Lugano, and like a good wedding planner was surfing on the internet to update me on what happens in the world of weddings, beauty and what are the trends and what I can share with you and with my brides. While I surfing, turn and flip through, I feel that thrill on my stomach and I wonder: Is it true Sara? Am I the one? 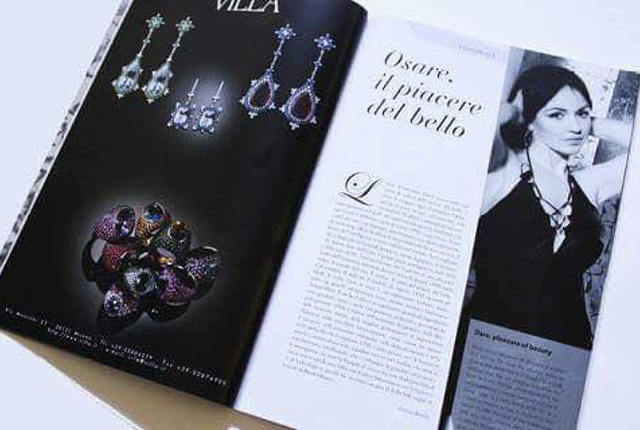 Yes, directly on Magazine One – that I follow for some time for their vision and pleasure to encourage the qualities of Italian artists, creative and courageous talents who carry on their own style and their own identity in their craft – I saw me there, as if by magic, my photo together with a text excerpt from my site complete with a gallery with photos of styled shoot and weddings on Lake Como that I organized. 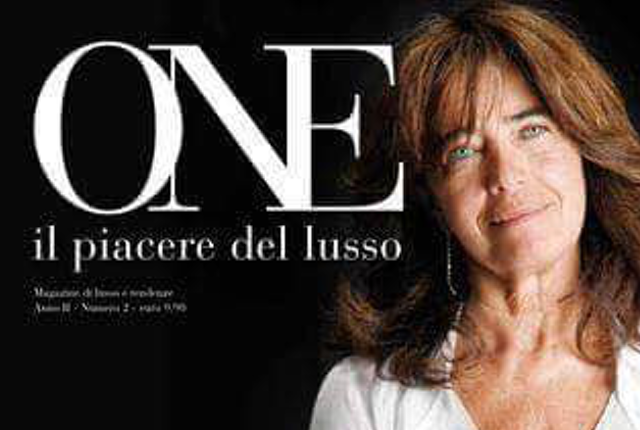 One is a magazine that deals with the Luxury and Lifestyle in all its facets, the direction is by entrepreneur Letizia Bonelli and these are her words about the magazine. “When I imagined this newspaper, I wanted to put on paper all that, turning the leaves did regain the pride of being Italian. Craftsmen, artists, professionals, chefs, designers of each field on One might have found their place, to wave the flag of Made in Italy: a talking album, showing faces and winning scenes, antidote to prevailing pessimism in such a dark period like the one we are experiencing in our country. I must say the truth, I felt a little embarrassed but also very proud to be able to enjoy this moment of fullness and happiness that come from so many efforts in doing things well and with so much love. As you already know, I divide myself between Ticino and Lombardy, with focus on Lake Lugano and Lake Como, where I organize most of the events and weddings that are lovingly entrusted to me and have been for a day star of Made in Italy it makes me incredibly proud!